The Ozone Enzo 2 is certified EN D, with or without its extra long trailing edge, Ozone said on Saturday – and human error was to blame for the longer trailing edge. Following two flight tests at the Air Turquoise test centre in Villeneuve, Switzerland on Saturday morning, chief test pilot Alain Zoller confirmed that the glider with the extra length in the trailing edge does conform to EN D.
He flew the glider on two flights, at trim speed and accelerated, and put the glider through the EN manoeuvres. He was observed by three witnesses including technical expert Denis Cortella and a representative from France’s free flight federation, the FFVL. Speaking from his home in England Ozone’s boss Mike Cavanagh said the longer trailing edge on the Enzo 2 was the result of a mistake. He explained that the original glider that was tested and certified had several “pinches” in the trailing edge. Pinches are sewn in to a glider during development to allow test pilots to fly the wing with slightly different configurations. Like putting knots in lines to alter the trim of a glider they help test pilots hone the wing. However, in the case of the Enzo 2 the final pinches were not carried through into the production model. Around 100 Enzo 2s have been made. The glider tested on Saturday morning in Switzerland was the original test glider with the pinches taken out to lengthen the trailing edge. The longer trailing edge of the Enzo 2 was discovered during checks on pilots’ gliders early in the competition. The production gliders were found to have a 30-40cm longer trailing edge than the paperwork said they should have. 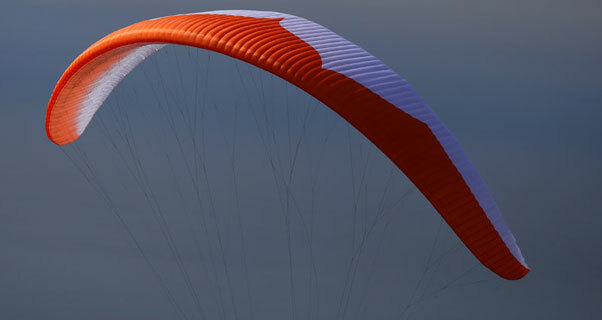 Pilots faced the prospect that the glider was potentially not certified, while organisers of the Superfinal – paragliding’s highest calibre competition – were caught out. Having instigated a glider check that was not in the rules (EN conformity tests only include riser length, line length and flight tests) and uncovering the longer trailing edge issue, Superfinal organisers were unclear about what to do. Because of that lack of clarity, the PWCA contacted the original testing house, Air Turquoise, for advice. Air Turquoise’s chief test pilot Alain Zoller first measured the sample glider they had in their loft and confirmed the difference in trailing edge length. He then carried out two flight tests today, Saturday 25 January, and confirmed the glider does conform to EN D standard – even with the longer trailing edge. The result was positive news for Ozone, who had been accused of cheating. The PWCA meanwhile has committed itself to a lengthy process of double-checking the gliders of the winning pilots are in fact certified, whatever the brand or model. The competition ends today, after which the gliders from the top three pilots, plus three gliders from the other categories – Women, Nation, Team – will be boxed up and delivered to Air Turquoise for checking. As well as the trailing edge issue, accusations about different riser sets, altered line lengths and other tweaks on gliders at the Superfinal have rippled through the comp scene. Any of these could see a glider break the rules on certification, and could potentially rule it out of the competition and the pilot disqualified. The gliders will first be checked against the sample wing stored at Air Turquoise and will then be test flown if necessary. If they do not conform to EN D standard then the pilot will be disqualified. This means that even though the Superfinal finishes today, after a two-week competition the winners will not be confirmed until the glider checking has been completed. That could be a lengthy process. If the glider has to go through a flight test it will need to be fitted with tabs and folding lines. Pilots will also have to give up their gliders for the duration of the test period. Goran explained: “Delivered wings will be checked for conformity with the sample wing stored at the Testing House and, if necessary, with EN D in flight test certification procedure. “Wings to be checked will be taken at the finish of the last task in the Superfinal and delivered by hand to the testing house. It means the confirmed winners of the Superfinal 2013 will not be announced in Governador Valadares, Brazil, but will come in a statement from Air Turquoise, the testing house in Switzerland, sometime in the next couple of weeks.